Professional USB digital media data recovery software is used to restore deleted photos, pictures, text documents, music files, audio, video, images and other important data stored in removable media device. 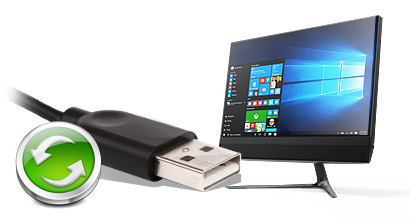 USB Removable media data recovery software recovers files lost due to accidental deletion, disk formats, virus attack or similar kind of failure to access data. Select partition from which you want to restore lost data files and click Next button to continue. 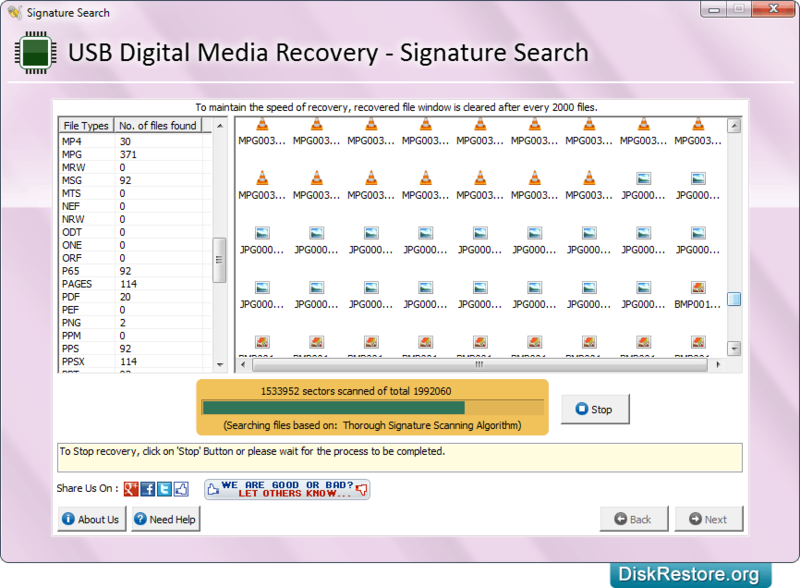 Browse destination path where you want to save recovered data files and click Next button. Progress bar displays the current running status of data recovery process. 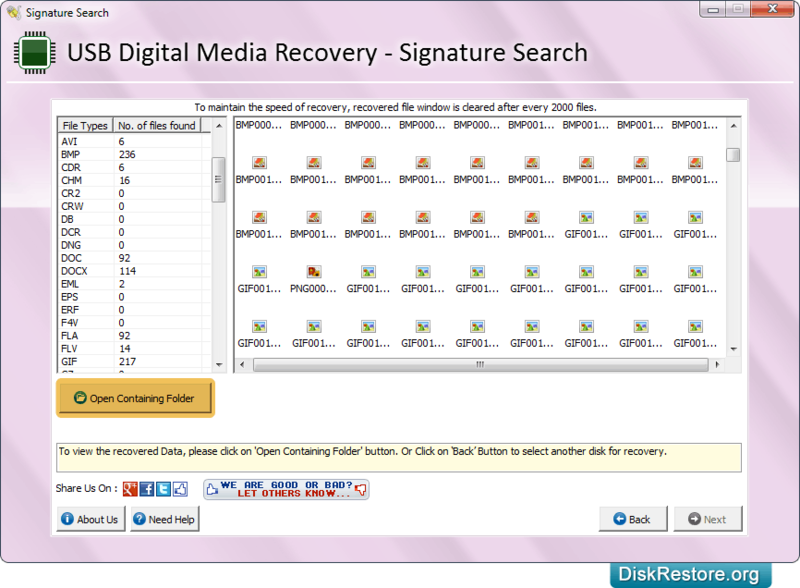 Data recovery process has beeen completed successfully. Click on 'Open Containing Folder' option to view recovered data files. 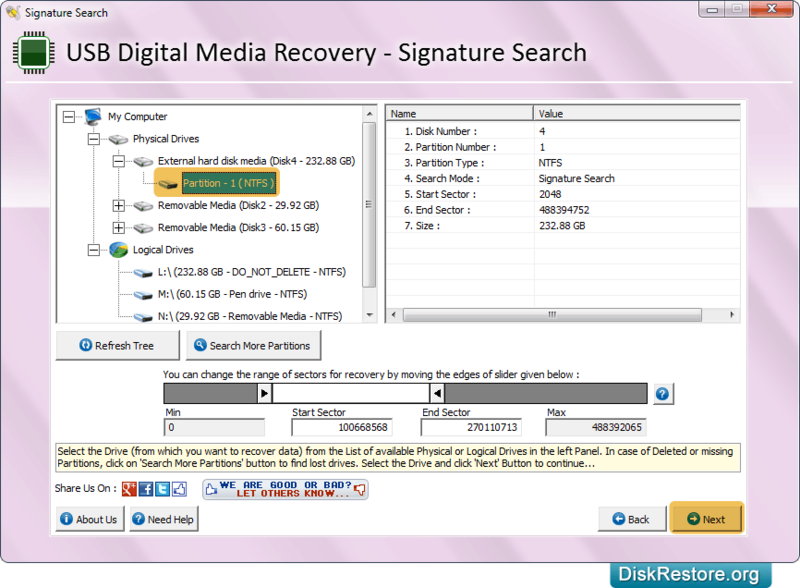 Removable media file recovery software supports data restoration from all major removable disk drives such as USB drive, Key drive, Mobile communicator, Memory cards and other equivalent USB devices. 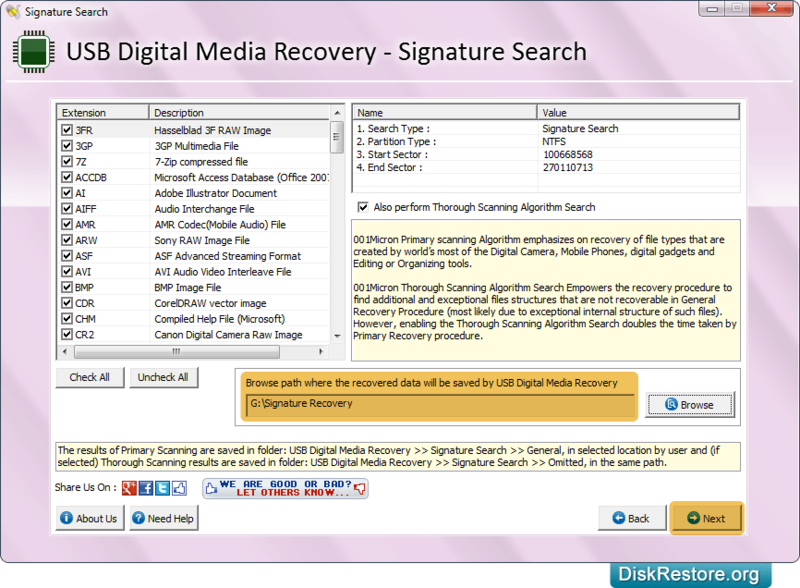 Software retrieves data from major USB drive brands such as Sony, Samsung, Toshiba, Kodak, Konica, Kingston, Nikon, Transcend etc. saved in mpeg, jpeg, jpg, wav, doc, mp3, gif, txt etc file formats.